It’s been almost a year since we last held a Pacific Socialist all dayer and I think it’s safe to say that the year has been pretty bastardly. So if there was ever a need for a bit of unity and love and togetherness and smiling and foot tapping and hip shaking and and flashing lights and sweaty bodies and getting mash up and cheap entry and FIVE GREAT BANDS and MORE GREAT DJ’S then this is it. Former Temple and current Fat White Family drums man going solo but not too solo, our dear Bobby “Roberto” Bongos beating skins for this one. Also featuring the Pacific Social Club house Yamaha keyboard so this is a really special one for us. Big things expected from Samuel Toms, one to watch. Highly Recommended! Former bar man and sandwich eater at Pacific Social Club, Luke and his palz Paz and Marta making real nice pop songs, anxious yet loose, not a slop in sight, lovely lovely vocals, lovely lovely lyrics, beautifully bobbling bass lines. Headed for big things, ten thums up! Current barman at Pacific Social Club, Alex of Essex (guitar and Portuguese noises and flared trousers) and juicy juicy Ami (flute and synth and straw boaters) making perfect woozy wonky neo tropical disco bits and bobs, finally perfecting that Brazilian/Japanese/Essex amalgamation that so many before have failed. We’ve been lucky enough to hear a preview of a soon to be album and it’s fuggin’ amaaaaazin’, HOTLY TIPPED!! The return of Plaistow’s premier prog-pop supergroup! Illustrator to the stars, Takayo and her bunch of Toms bring their totally indescribable sonic spectacular to sweaty Saturday night Hackney upstairs vintage shop eh eh? Coming across like the pop version of a Magdalene College University Challenge team but with loads of effect pedals and furry face suits. Probably our favourite thing ever, HIGHEST POSSIBLE RECOMMENDATION!!! Paper Dress Presents an evening of wonderful live music from our unique shop window stage in Hackney Central. Joining us on Friday 27 July we welcome..
“Brighton’s most exciting two-piece do it again with their atmospheric take on garage rock. The grit, energy and crunching guitar of the chorus seems at odds with the spacey, shimmering verses, but vocalist Heather handles both with ease, switching between her beautiful, soulful tone and a snarl in a split second.” – Bristol Live Magazine. ‘Their ability to mix a Riot Grrrl sensibility, introspective lyrics, and hypnotic drone-y guitars makes them greater than the sum of their parts. Rumour has it that they’ve spent the winter writing their debut album, and this set will be full of future classics.’ – Drowned in Sound. The Anderson Tapes formed in London in 2017. They play a fuzzy scuzzy mix of punk/post-punk, garage rock and grunge, with beguiling melodies always at the forefront. New 3am License Starting Every Saturday from 1 Sept! 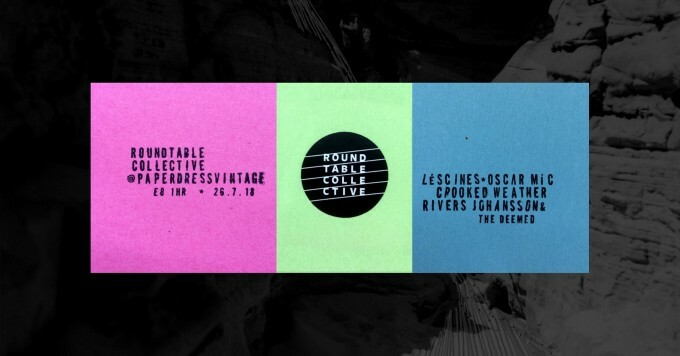 Roundtable Collective are throwing a party! 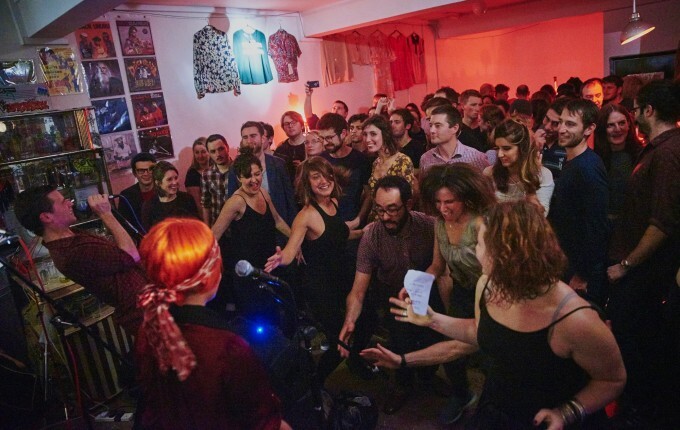 Léscines have been working on their upcoming album for longer than they care to remember and it is now finished so Roundtable Collective are throwing a little soiree to celebrate life, music, friendship and doing stuff! We have some very special friends who are coming all the way from Hull to party with us but also from all over London. Live guests on the night..
All are welcome, please join! Hailing from all over the UK, Zoe & The Baskets have been playing together for just over a year in and around London. 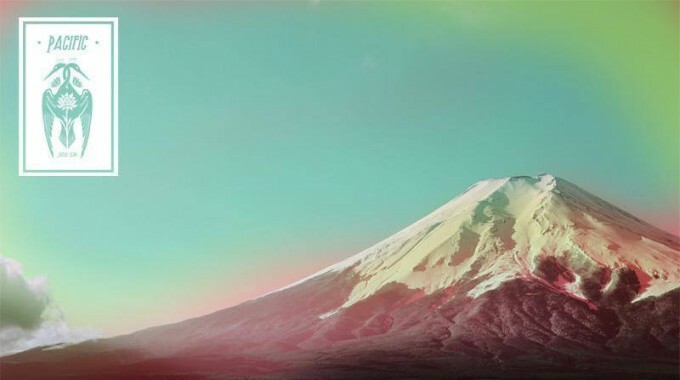 Their lyric-driven indie pop has reverberated around empty rooms across the country, and more recently some half full ones (a couple of weeks ago our girlfriends came). Having been a gigging singer-songwriter for around five years, Zoe started an Actor-Musicianship degree at Rose Bruford College, and met the rest of the band. everyone is pretending – we love that!